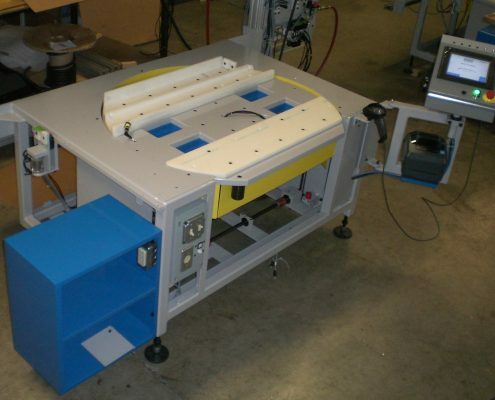 Element’s assembly stations utilize generic code that allows for on the fly adjustment of assembly station steps and scalable manufacturing support. With configurable work instructions at the machine level, operators have a clear visual indication of each step of an assembly process minimizing necessary training. 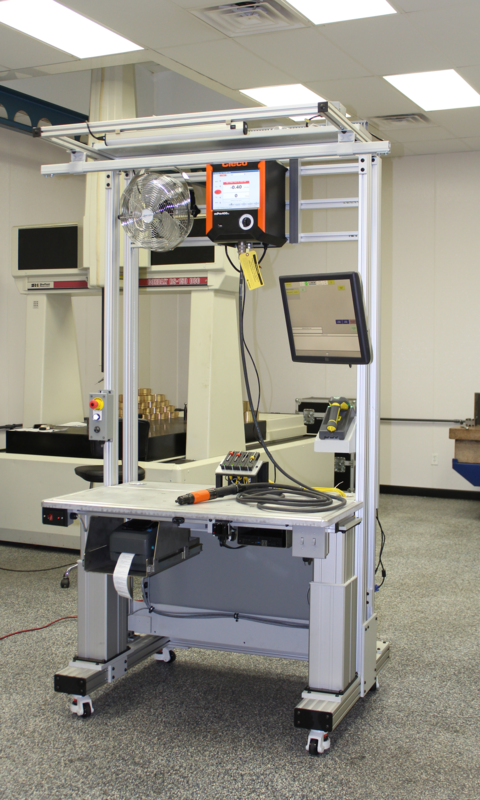 With optional integration of poka–yoke methodology, analog or discrete verification and keyed operator assembly variables, our stations can integrate into any manufacturing process. We provide methods for configuring work instructions at the machine level to minimize operator training and reduce any assembly mistakes. In addition to supply of assembly stations, Element can work with your manufacturing team to identify and design a smooth assembly process. This can include: process flow mapping, work instruction development and pre-programming, design/supply of supporting material flow racks, and design/supply of assembly fixturing. Let us help you with your assembly process. In many instances, Element Machinery’s configurable architecture eliminates the need for re-verification of standardized processes because changes are configured at the machine level without a programmer. These standardized processes and certifications can take weeks, or even months, to re-qualify – which makes our assembly solutions simple to justify. This compiled data can then be stored locally at the machine level or, if available, may pass the information on to a customer’s manufacturing software. Element will work with you and your team to develop a solution that meets your needs and budget.